I have written several books, but none are more near and dear to me than Luthor. This may sound a bit odd for those who read the book and experience the intense tale within its pages, but the character Luthor has a way of reaching into one’s heart and not letting go. Luthor is the story of an affluent family ruled by an abusive father, Garvin Brodrick. The family lives in a large mansion in Salem, Massachusetts. The two children, Amanda and Joshua, are repeatedly abused both physically and sexually by Garvin. Their mother, Lillie, is aware of the abuse, but unable to help. As the first half of the story unfolds, Amanda and Joshua find solace and comfort in each other’s arms. Through a series of events, the two find themselves the sole heirs to the fortune and living alone in the mansion. But their love for one another continues. This union produces a child born with hideous deformities, including a rare skin disease and eyes that are extremely sensitive to light. 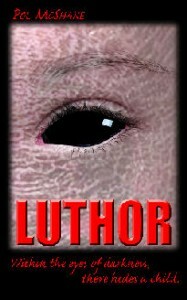 When Luthor is born, the condition with his eyes causes the family to take on a nocturnal existence. Joshua is resentful of the love that Amanda shows the child, and repulsed by him at the same time. This creates a rift between the siblings and the son soon takes on the characteristics of the father before him. I first wrote Luthor more than sixteen years ago. At the time, I had every intension of going into the book in an effort to create a new monster. It was going to be a horror story on a whole different level. When I first began the book, the original tagline for it was: Dracula, the Wolfman, Frankenstein . . . That was then. Luthor-this is now. And I began putting together all the different aspects that would create a horrid monster full of rage and aggression. I came up with the idea of brother and sister creating the monster as to explain deformities. 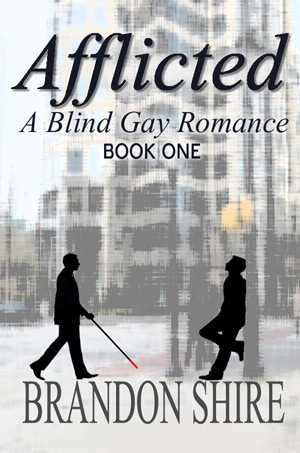 I added horrid abuse and extreme situations to add to the tension. But then I got to the part of the story where Luthor was born and something happened that had never happened before and has never happened again: The character took over and changed the story completely. There is another character in the story that became more important than expected, and his name is Dr. Keith. Originally he was simply there as means for the siblings to have their child in secret. But as Luthor’s story changed, so did Dr. Keith’s. He and Luthor built a loving bond I had not originally intended. The character of Luthor had so touched my heart and my husband’s that a year after the story was originally written, he bought me a seven-week-old golden retriever and we named him Luthor. He was a special part of our family for nine years The final tagline for the book was changed to: Within the eyes of darkness, there hides a child. The publication of Luthor took so long because I was waiting for that “big break” all writers hope for. But last year I had decided that I waited long enough, and I was going to take over my own career. I knew it was time for the world to meet the boy that had changed our lives so long ago. I self-published Luthor and was anxious about the way the story would be received, but I was pleasantly surprised by the reactions. I have gotten by so many. 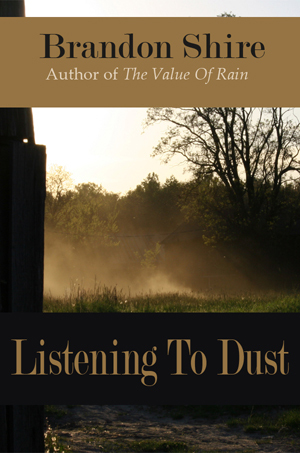 There were a few who me that they had been unable to finish the book because it is too intense, but I don’t mind. I take it as a compliment. No matter what I write in the future, Luthor will always have that special place in my heart. I have recently released the first installment of a four-book YA series called Serpenteens about a group of teenagers who discover they are demigods and have the power to transform into different types of snakes. In snake form, each one has the ability to control aspects of the weather. They help control the turbulent weather systems that have been occurring lately in an attempt to help the planet. But also find there may be more to it than simple global warming. My current project is another adult fiction book called Squish-Squash which I hope to release it late June. 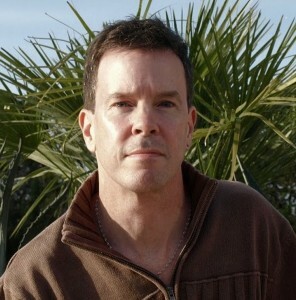 You can connect with Pol on his website, Twitter or Facebook, and find his books at Amazon.